Today is the day I share my usual hair related style, tutorial or inspiration. Well, today is different. While what I’m about to share is about hair, it’s not a good thing. I wish I could post a pic of their products but I don’t have the sample pack anymore and I don’t want to grab a photo from their site or I’d probably be sued. So, what IS this crap that Miss Jessie’s is selling??? Not only are their products over priced, they are crap. Yup, I said it. C-R-A-P.
Just read the ingredients. You don’t have to trust me on that one. The ingredients speak for themselves. Now, if you’re bold enough put that mess in your hair, you’ll see what I mean. My hair has been flourishing for the last year. It has had minimal breakage and it’s stayed soft and moisturized from one wash day to the next. I’ve managed to maintain an average of 1/2 inch of growth every month. I put that damn Miss Jessie’s Baby Butter Cream in my hair. Forgive me, I really don’t use profanity but I am so so so so pissed with this product line. Yes, it appears to be a wonderful texture when you roll the cream between your fingers. It left my hair in shambles. My hair was gummy and dry and coarse. Something I have not experienced EVER. Not even when I had a relaxer. Here’s another thing. I’ve tried hundreds of products – expensive and cheap. My hair didn’t necessarily like all of them but NEVER did it react to a product in such a way. This mess really needs to be taken off the market. i feel so strongly about it. Two days after putting this Miss Jessie’s product in my hair, I washed it out and deep conditioned my hair followed by sealing and twisting it…my usual practice. At first it seemed like all was back to normal. Then a day later it dried out again which leads me to believe this Miss Jessie’s Baby Butter Cream crap has caused some kind of damage to my hair. My only recourse? I’m going to now try the baggy method to try and return my hair to it’s healthy condition. I don’t knock people having a hustle but really? This? Based on my conversations with many naturals, there are a number of us who have had poor experiences with this product line. The only saving grace is that I used a sample and didn’t waste the $65 for the full size jar they are selling scamming people for. I have never used Miss Jessie’s because it was to expensive and I didn’t like the ingredients listed. I am so sorry you had such a horrible experience with it. For deep conditioning I have been using Ojon and Carol’s Daughter olive oil infusion. Both have been very good for my hair. I’ve been wanting to try Ojon. I’m trying to scale back though. I have so much I don’t know what’s working! I do notice that my hair really likes Doris of Ny products though. I agree with this post. JUST CRAP. I desperately wanted some hold for my twist outs, I’ve tried so many products, looking for that one product that can serve as a moisturizer and hold….I even tried to do a twist out with KCCC!! NEVER EVER EVER will I make that mistake again. 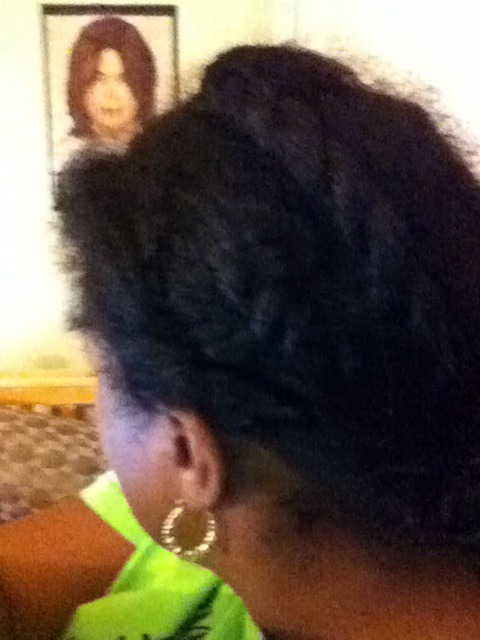 So I tried Miss Jessie’s and once I took my twists down I was like WAIT A MINUTE!! I have definition, I have hold, I found my perfect product!!! Fast forward to 2 days later, WAIT A MINUTE!!! I have dry parched hair, and a broken out hairline and jawline, which is something I NEVER experienced with my staples. which is what I will stick to from now on! See. I knew women would come out of the wood work and feel me on this. I tell you that’s the worst product line i’ve ever tried! yes, stick with your holy grail of products. that’s what I’m going to do. I never jumped on the MJ bandwagon… the price alone turned me off. My daughter rec’d a free jar of the BBC for free, I will forward this post to her. Her hair is to beautiful for that MJ CRAP! amen to that! It is definitely way overpriced. Stay away! Thank God I bought the trial size so it was only $6 wasted. My sister uses their products all the time and come to think of it, her hair doesn’t look like it has grown much in a long time. In fact, I think it was longer and healthier when she first became natural. I keep trying to tell her though. I tell you that stuff is the worst I’ve ever tried and I do mean EVER! You are HEE-larious! Now, didn’t you read my post about them when they had the BOGO sale;)! My sister was like, “Dang Shelli, all you had to say was that they weren’t your cup of tea.” LOL!!! Btw, your twists in that first pic look just lovely!! So shiny and lush!! I think I missed that one ???? I’ll go look for it. Thanks, the twists in the first one were done with the products I’ve been using all along…Zizyphus, Jojoba Oil, JBCO and Nourish and Shine. I think I’ll just stick with those and stop experimenting! I’m so sorry for you and your hair. I have read mixed reviews from people about Miss Jessie products and haven’t tried them because they are so expensive. Now I will simply pass an those products. I hope you are able to get your hair back to normal. You could do a hot oil treatment? Hi Jen, I never like doing hot oil treatments because my hair is fine and they always leave my hair limp. I did a quinoa protein treatment with Aveda Damage Control. So far so good. Sorry that happened to you. You have every right to be salty about this. As much as this stuff cost, you’d think it would work wonders for the hair. My hair was doing fine, but I started noticing dryness. I can’t use the Baby Buttercreme, it makes my hair dry as well as my daughter’s hair. The baby buttercreme has a lot of protein in it (hydrolyzed keratin + keratin). The curly buttercreme worked better on my hair, but I still noticed dryness, so I’m done experimenting. I went back to using CD’s healthy hair butter and no more dryness. See that. I wish I had paid attention to the protein in it. I would never have used it. I threw the rest of the samples that I had from Miss Jessie’s away. I’m done experimenting too. Sad thing is with a name like Baby Butter Cream, you’d think that it would be a luscious moisturizer. NOT!